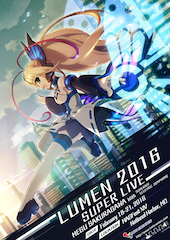 The Music And Gaming Festival (MAGFest) is thrilled to reveal that the Inti Creates sound team will be attending this year’s event to perform two concerts: one dedicated to Azure Striker Gunvolt titled Lumen Super Live 2016, and the other being a special Inti Creates 20th Anniversary concert, featuring music from games they worked throughout their history such as Mega Man Zero. Performers include Ippo Yamada, Godspeed, Yamajet, Luna Umegaki, Megu Sakuragawa (Lumen), and other special guests who will take to the stage during MAGFest 2016 happening in National Harbor, Maryland on February 18, 2016 through February 21, 2016. What a wild ride! 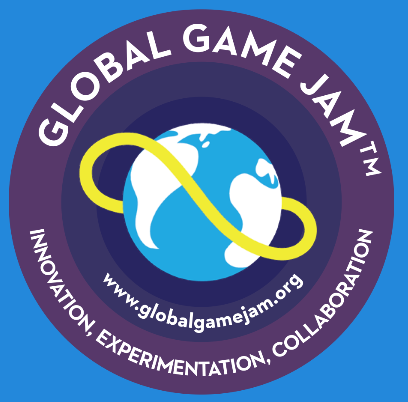 This year’s hotel and registration launch went by faster than ever! The Gaylord is sold out after less than 24 hours of being on sale. Every single room on Friday Feb 19 and Saturday Feb 20 is booked, and there are no additional rooms that we’ll be able to add for those two days. 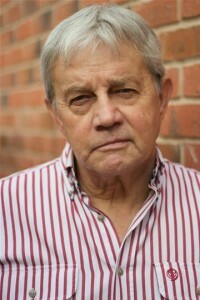 We are pleased to announce that (Re)Generation Who will be welcoming actor Frazer Hines in 2016! SHORE LEAVE, one of the oldest and largest all-volunteer, all-fan run science fiction & media conventions in the nation, will be coming once again to The Hunt Valley Inn just north of Baltimore, Maryland for three full days of fun, friends, and fandom. Next, I visited the Dealers Room which had some amazing items. In addition to the usual t-shirts and BBC licensed souvenirs were some wonderful art pieces as well. My favorite was definitely the Doctor Who Leather Journals crafted by Danielle Gunter at Red Falcon. I was also very impressed by the artist Kelsey Wailes who created the beautiful drawing of Tom Baker (which was for sale with his autograph), along with one of the Convention t-shirts. Studio Cosplay, a Washington DC area-based non-profit, is combining the world of cosplay and makerspaces. Cosplay is the art of making costumes combined with wearing and performing in costume. A makerspace is a community or shared workspace. This coming weekend, Dynamite Entertainment will be bringing its 10 year anniversary celebration to Baltimore’s famed Inner Harbor for the 14th annual Baltimore Comic-Con and Harvey Awards, with special guests, can’t-miss panels, and a slew of convention exclusives as the publisher heads to booth #2005 for the three day event. Come visit Baltimore Comic-Con’s biggest, best publisher! On Saturday, September 6th, two of Dynamite’s top creators will take center stage at the 2014 Harvey Awards, where attendees will get the chance to hear Red Sonja writer Gail Simone deliver this year’s Keynote speech, while Justice Inc.‘s Michael Uslan takes over duties as the evening’s Master of Ceremonies. Tickets are still available for the dinner and award show. The celebration continues with panels focused around the company’s past, present, and future over the weekend. Fans will not want to miss The Dynamite 10th Anniversary Panel on Saturday from 2-3pm in Room 339-342, for a look back at all things Dynamite with an array of special guests including Gail Simone, Garth Ennis, Frank Tieri, Mark Waid, Christina Blanch, Duane Swierczynski, John Cassaday, Bill Willingham, and Joseph Michael Linsner, followed by the Gail Simone Spotlight Panel from 3-4pm in Room 349-350, and the Garth Ennis Spotlight Panel from 5-6pm that same day in Room349-350. Then, on Sunday, September 7th, The Pulps invade as Justice Inc. writer (and Batman movie producer) Michael Uslan joins Green Hornet scribe (and noted Pulp expert) Mark Waid, The Shadow and Zorro cover artist Francesco Francavilla, The Shadow and Green Hornet cover artist John Cassaday, and Grendel vs. The Shadow writer/artist and Shadow: Year One writer Matt Wagner for a discussion on all things Pulp, along with some surprise guests fans won’t want to miss. In addition to its brand new booth and exciting programming, Dynamite will be offering one-of-a-kind convention exclusives to fans eager to get their hands on the latest and greatest from Dynamite Entertainment. Limited edition black and white variants from Red Sonja: Black Tower #1, and Steampunk Battlestar Galactica: 1880 #1 will be made available for purchase, along with an extremely rare Alex Ross art board variant edition of Justice Inc. #1 and ultra-limited convention exclusive editions of Bob’s Burgers #1, both in black and white and as virgin art, by series artist Tony Gennaro. Convention attendees should stop by the Dynamite Entertainment booth (#2005) to purchase their convention exclusives before they sell-out.